You’d think that audiences might be less keen on seeing John Waite after his many visits to the Bay area, but Friday night’s responsive Capitol Theatre crowd proved that wasn’t the case. Waite — a rock radio mainstay who was lead singer of ‘70s hard-rock and pop group The Babys, a solo star and member of ‘80s supergroup Bad english — has provided some of the most powerful vocal performances committed to wax. Somehow, through all those years of touring and recording, his phenomenal voice hasn’t suffered or been affected one bit. Taking the stage clad all in black and sporting his familiar mop of wavy, long red hair, Waite wasted no time and kicked the show into gear with chugging rocker “Midnight Rendezvous” from the 1980 Babys album Union Jacks; Waite’s trademark, melodic, emotive and soulful voice sounded exquisite from the first note. Cheerful and in good spirits, the slender singer seemed damn glad to be there; the crowd picked up on that enthusiasm right away and gave it right back to him. Backed by a sparse three-piece band, Waite switched from acoustic numbers to electric rockers throughout the night and threw in enchanting anecdotes and backstories in as an added bonus. Gleefully recalling his time spent exploring Nashville’s country music scene, Waite fondly described performing with bluegrass giant Alison Krauss at the Grand Ole Opry, being timid about performing with singer-songwriter Vince Gill (whose composition “Whenever You Come Around” Waite recorded and released) and fondly recalled the famed Bluebird Café, a place where young singers perform in hopes of getting discovered. The added details helped give the songs more color and made the presentations more enjoyable. The feisty crowd, however, was as content with the rockers as it was with the more sedate numbers. On the cusp of his 67th birthday, the youthful, spry singer seems unaffected by age. What’s so remarkable about Waite is his uncanny ability to retain his superb, multipurpose, recognizable vocal tonality. It’s hard to think of any other mid-’70s rock and roll frontman, that is still recording and touring, who can boast that claim. Waite’s still-sparkling voice is the true attraction that keeps fans coming back to see him and hear the obligatory big hits, which were well-represented and covered, too. “Change,” Waite’s breakout solo hit from a 1982 debut solo album and “Missing You,” his worldwide no. 1 smash hit from 1984 sounded fresh and energized thanks to the clever phrasings and the vocal improvisations Waite threw in. The most responsive of all the audiences Waite has attracted to a local stage in recent years repeatedly showed its appreciation with a steady stream of standing ovations and scattered screams of, “I love you John!,” proving that they, like Waite, were also feeling young on Friday night. Wrapping up the night like he often does, Waite and his group unleashed a fiery version of Led Zeppelin’s “Whole Lotta Love,” which that included some hair-raising, muscular vocal notes and a funky bass interlude from longtime bassist Tim Hogan. The selection was a fitting close to a fun and rocking night. 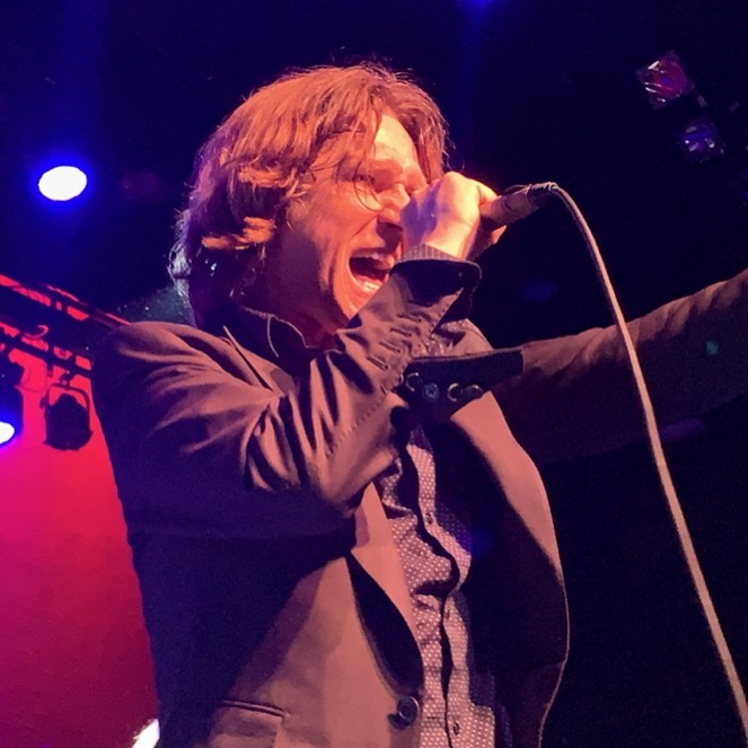 As long as John Waite includes the Bay area on his future tours — be they acoustic treks or more hard-rocking ones — local audiences are sure to gather to hear the one-of-a-kind singer unleash that incredible voice over and over again. More power to Waite for preserving his musical gift and for knowing how to keep them coming back.